​Catie Deitz-Griffith begins her first year as Artistic Director for Forum. She had previously served as Forum 2 Director for the past 5 years. Catie began her training in Newton, New Jersey where she studied the Royal Academy of Dance and Vaganova Ballet techniques. She furthered her training in New York City at the Joffrey Ballet School, Broadway Dance Center and Alvin Ailey American Dance Center. Sinead Gildea is in her fourth season as Training Company Director. 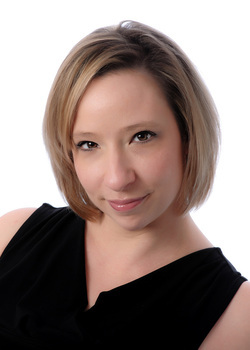 She is also currently Co-Artistic Director for Motions Dance Company in Bartlett. Sinead graduated from the University of Iowa, where she was a member of Dancers in Company (the University's professional touring company) for two years. She was a co-founder and the Executive Director of Impetus Dance Theater, a professional dance company based in Chicago. She has danced with Impetus Dance Theater, Same Planet Different World Dance Theatre, The Cerqua Rivera Art Experience, and has also had the pleasure of dancing for Harrison McEldowney, Eddy Ocampo, Randy Duncan, Jan Erkert, and many more. She was a featured dancer for the Black Orchid Supper Club and Dance Captain for Flirt Cabaret. She has performed in programs on ABC, WGN, and WTTW, in many Chicago dance festivals and benefit performances, and for numerous production companies for commercial and private events. Brent Caburnay trained on full scholarship with the Giordano Dance Center, Hubbard Street Dance Chicago, Boston Ballet and the University of Michigan. While at the University of Michigan, Brent performed with Ann Arbor Ballet Theatre, Eisenhower Dance Ensemble, and with the University of Michigan Dance Department where he performed works by legendary artists Paul Taylor and Donald McKayle. In 2000, Brent graduated with Honors from the University of Michigan and was recognized by the Dean of Students as outstanding student of the year. Upon graduation, Mr. Caburnay danced with the Joffrey Ballet, the Chicago Symphony Orchestra, the Lyric Opera of Chicago, and special television credits including the Miss USA Pageant. Brent performed for 10 consecutive years in the Dance for Life finale choreographed by Randy Duncan. Along with performances in Dance Chicago, Brent has performed with the Dutch National Ballet and Southhold Dance Company. Brent has been a costume designer for Gus Giordano, Hubbard Street 2, Black Box Dance and Forum Dance Theatre. As the Ballet Master of Forum Dance Theatre, Mr. Caburnay's works have been seen throughout North America and Europe, receiving numerous awards including Dance Chicago "New Voices" award. 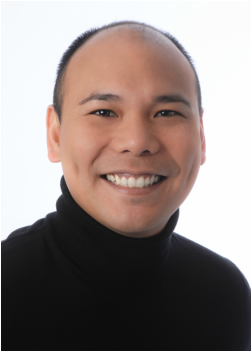 In 2012, Mr. Caburnay was recognized during the Regional Dance America National Festival with the "Outstanding Choreography Award" for his collaborative work with Eddy Ocampo entitled "Ehsaas." Additionally, Mr. Caburnay received the National Choreography Recognition Award at Regional Dance America's MidStates Ballet Association Festival in March of 2015 for his work entitled "Coda," (click here to see article in Daily Herald). Shelley Page Hoselton is the owner and director of Talent Forum, home of Forum Dance Theatre and Footprints Tap Ensemble. Shelley is the Executive Director for both of these highly acclaimed, not-for-profit youth dance performance companies. For the past 24 years, she has tried to put forth excellence by providing a nurturing atmosphere and the finest training staff. Providing a facility that has opportunities for those who dream of a professional career in dance or with to have dance in their life as healthy recreation maintains Shelley's mission. From age 3 she studied dance with her mentor, Betty Daly Rahmel. When trained by Mrs. Daly, one learns love for the art of dance, the importance of technique and how to pass it on to others, and respect for all. Receiving a "Juba," for excellence in the arts, from the Chicago Human Rhythm Project, is one of Shelley's greatest honors. She was a model and actress at age 5 and became one of the top 10 child models in Chicago by age 11. She was in numerous TV commercials, radio spots and print ads. She owned and operated North Shore Talent Agency throughout the 90s. She is the Vice President of Tressa Thomas's not-for-profit "Thyck Troupe of Chicago," an organization designed to empower full-figured women, and is the Executive Producer of Tressa's upcoming album entitled "Hybrid Soul." Also, Shelley is the Executive Producer of the Mickey Roony Short film "The Yesterday Pool." Her primary focus is the studio, yet she continues to explore new horizons.